Great for fluency addition facts of numbers to 10 just as Thanksgiving approaches! Use as an independent center activity or as a small group activity. Print out, laminate, and cut to make this sort reusable. 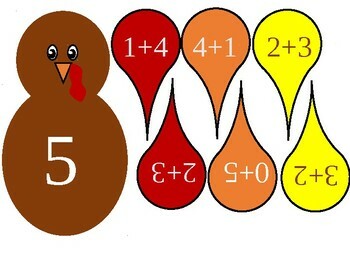 The students will be able to place the appropriate addition fact "feathers" behind the turkey based on the sum they have to make it look like the turkey has feathers. The students can also practice their knowledge of commutative property. 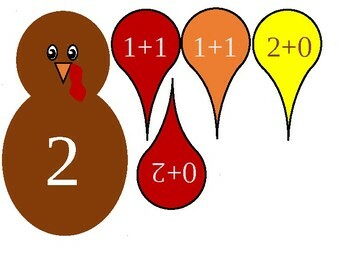 Editable, additional feathers have been added on pages 10 and 11 along with blank ones where the student can write their own addition sentence.